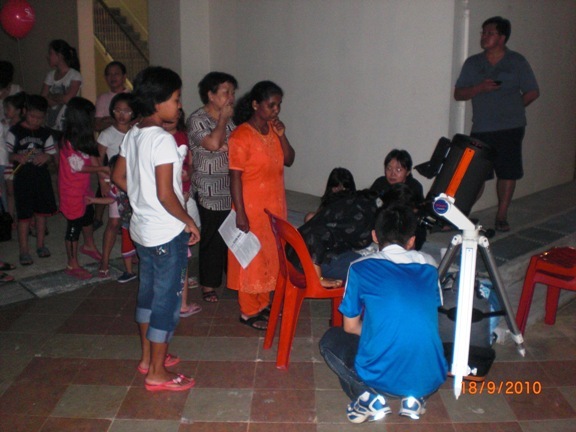 On 22 October 2010, there was a Astronomy Workshop conducted by HT and a few instructors for the Spastic Children Association of Singapore. 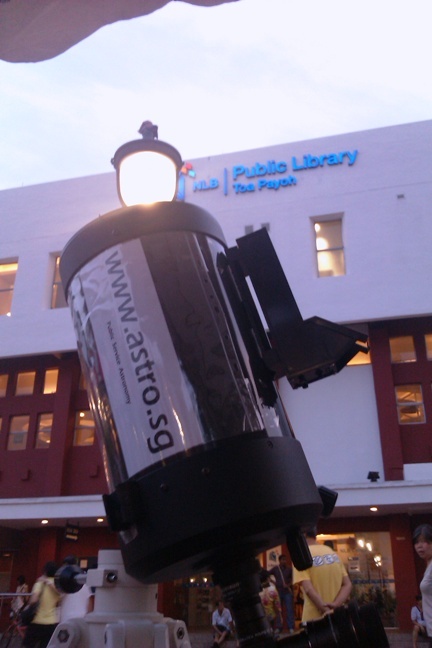 I saw HT for the first time during the Astronomy Conference organsied by AGASTRO. But I really get to know him better from my extremely memorable first stargazing trip in Punggai. Here is a man who is truly passionate about imparting his knowledge to others. Not just another school teacher but a true Educator. Most Singaporeans like myself grew up watching plenty of fund-raising programs on TV. With just a simple phone call, we can make a donation. I have always wondered what it is like to volunteer time to help the less fortunate instead of just donating money. 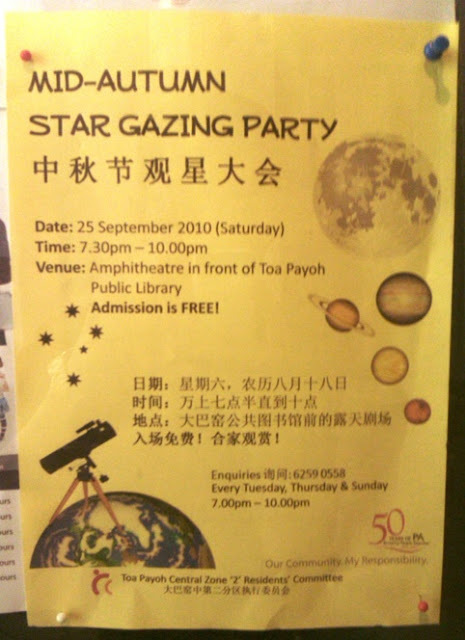 So when HT contacted me after the Punggai trip and asked if I was interested to volunteer with the stargazing part of the workshop, I was quite happy to jump at this opportunity. But after a quick check on my schedule for that week, I know it was highly unlikely I can make it on that day. One of my family member is shifting house that very day and I need to attend a late dinner session with my client later in that evening. So I told HT I can't commit and advised him to contact JP and see if AGASTRO can help him out. JP agreed to help despite manpower issues he was facing. Most of AGASTRO members are students and October is the month where the examinations are conducted. 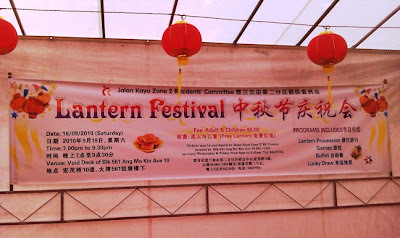 Moreover, I guess some of them are most probably suffering from astro-fatigue from the various Mooncake festival astro events in the previous month. 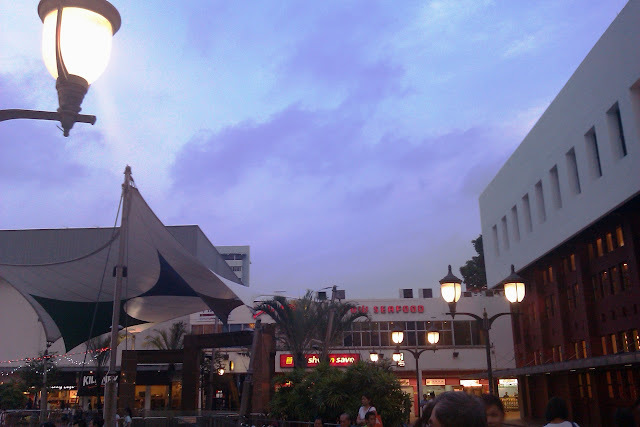 October is also the time in Singapore where the sky begins to get more and more cloudy. A few days before the event, the unimaginable happened. This is the worst haze in Singapore since 2006. According to an online news report on the very day of the workshop, "Hazy conditions are expected over the next two days in the absence of heavy rains." 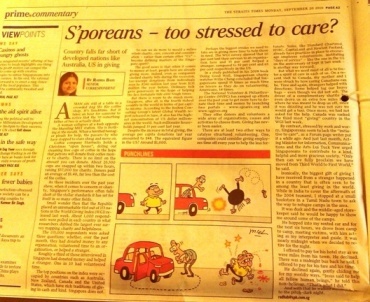 Life, like the sky conditions in Singapore, can be very unpredictable. Due to unforeseen circumstances, the house-moving date was brought forward a couple of days. My client wanted to have an earlier dinner instead. And miracles of miracles, there was a light drizzle in the late afternoon and Moon and Jupiter were finally visible in the sky! 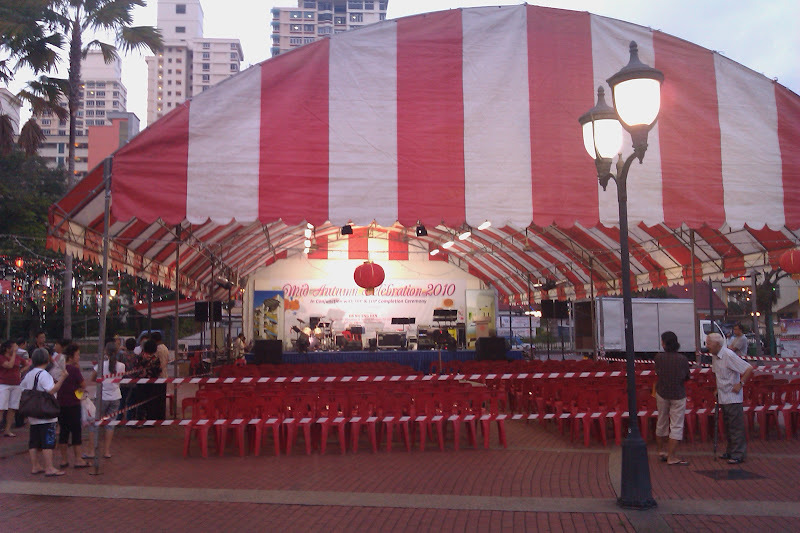 Packed my C8 and PORTA mount tripod and took a cab down to the venue immediately after my dinner appointment. I took the front seat in cab and at one point was starring at a clear Moon straight ahead. So happy to see it after days of hazy skies. Took out my phone and snapped some pictures and video. The driver must be thinking I am some country bumpkin living in a cave. Fortunately, my geekiness must have changed his mind when he need directions to reach the venue. I switched on my phone GPS and google map and gave him some precise instructions where and when to turn. 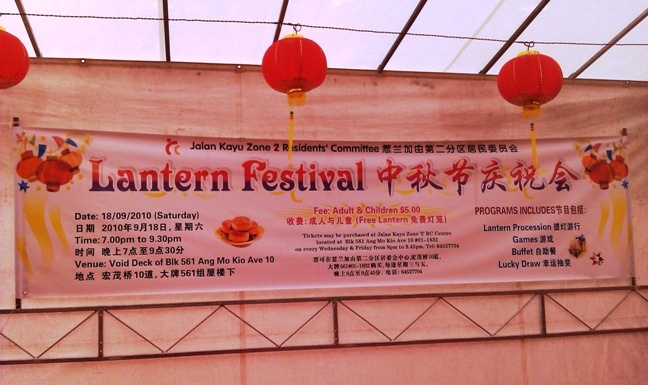 Upon reaching the venue at Pasir Ris Drive 1, was glad to see HT and he led me to the observation site. The site is actually in a semi-indoor running track facing East. The roof is actually many horizontal beams which I speculate is to let natural sunlight in without exposing the tracks to too much heat. Fortunately, because it is a controlled environment, the surrounding lights can be switched off and it was pretty dark. While I was setting up, some of friendly instructors was trying to help and asked if I need more lighting. The first thought that came to my mind was SINGASTRO administrator's famous quote - "We do it in the dark....". As it wasn't that dark and my setup was pretty straightforward and thanks to the "training" during my previous sidewalk sessions, I did manage to setup without using a hand-powered torchlight which I brought along just in case. The instructors brought something really useful - chairs which made my setting up much more comfortable. They were quite excited when my scope was finally ready for viewing and saw Jupiter for the first time. They also had fun trying to use the DIY telescope assembled during the workshop which HT was conducting (along with other interesting related topics) to look at the Moon. JP and JM arrived later with their refractors and we are all ready for business! Horizontal beams at top left corner of this photo. Because of the roof design, we can only view Jupiter and Moon in between these beams. Fortunately, our low-tech tripods allowed us to shift the whole telescope setup and "chase" Moon and Jupiter between the roof gaps. Some of the children are slightly physically challenged to position themselves in a comfortable viewing posture to view through the telescope. So everyone helped out in lowering or raising the tripod legs to a suitable height. The children came to view through the scopes in batches and it was very rewarding for us to see that sense of wonder, joy and amazement in their eyes. I was busy manning my station so did not have much time observing what was happening at the other two stations. But hearing the laughter coming from that direction, I am sure all of them had fun too. The instructors and volunteers also joked with the children what can and cannot be seen on the Moon. There were some occassional clouds blocking Jupiter and Moon. 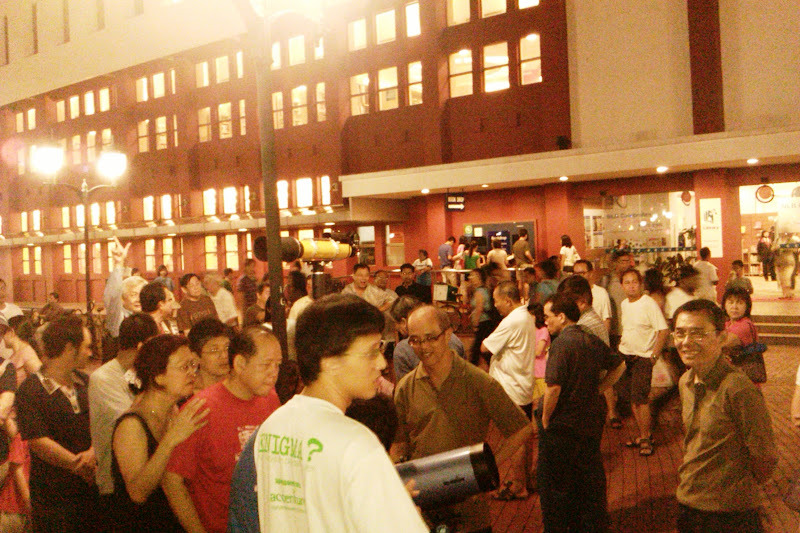 But everyone was patient and waited for the clouds to clear. Overall, we were extremely lucky and blessed to have seen anything at all considering the bad weather forecasts. Orrery. Say it 10 times quickly. 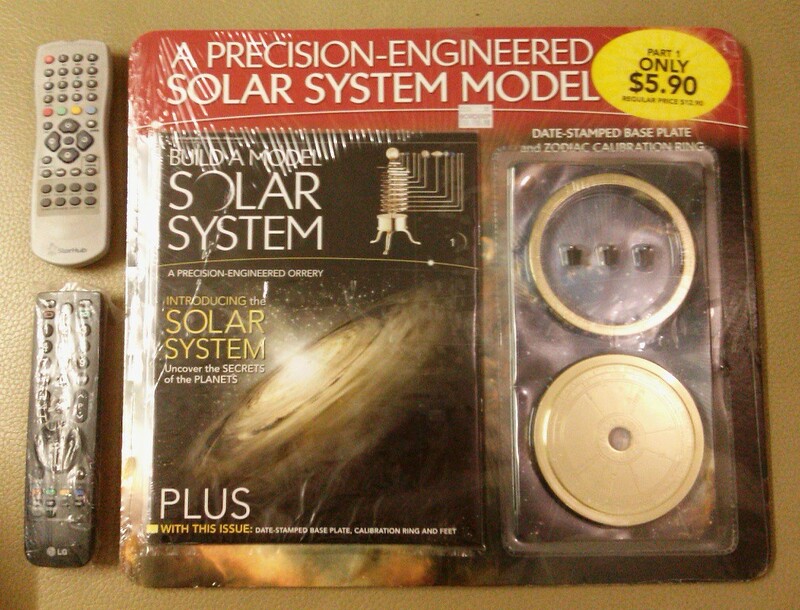 I bought 2 copies of this issue and may give them away as prizes during sidewalk astronomy sessions. Brings back wonderful memories of trying to collect something and then realised some parts are deliberately made rare to "encourage" more sales ( I still have an incomplete set of Superman movie cards :) ). But not this orrery. If you buy all 52 sets you will definitely get all the parts. This will add up to a few hundred dollars but still much cheaper than those sold at antique clock stores which costs a few thousand dollars at least. Other than Borders, one should be able to find them at popular bookstores like Popular (sorry can't resist). As a educational tool, it is fantastic. It will create a sense of wonder and excitement about our solar system that cannot be easily conveyed in words and two-dimensional diagrams. The only disadvantage (applies to almost all orrery) is that they do NOT scale the size of the planets and Sun and the distance among them accurately. 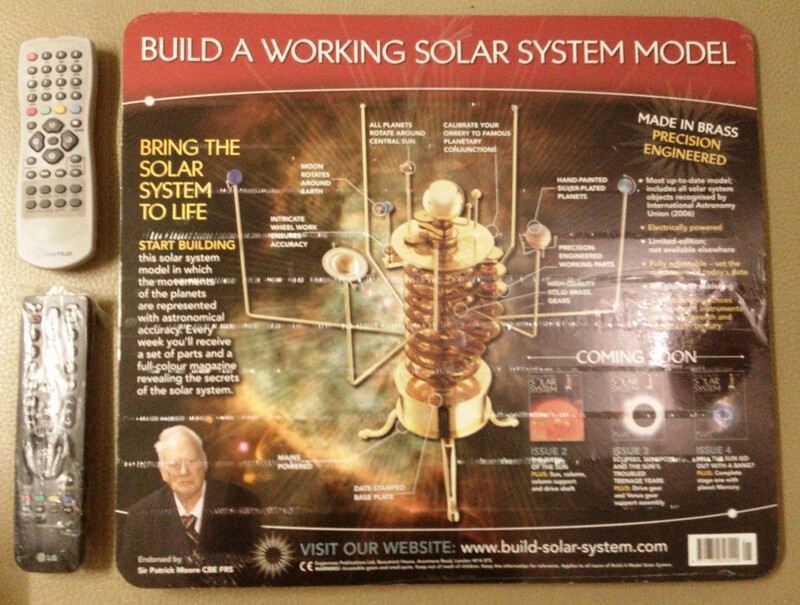 If they did, generations of people will be very excited to observe and learn more about our Sun. Because the first comment almost everyone will make when they see such an orrery is "What is that gigantic "planet" in the middle?" After doing some online research back home, I was glad to know that we can buy the full complete set without waiting for 52 weeks. And that complete set is actually cheaper and comes with a few more goodies. The local distributor, Allscript Pte Ltd, found the Singastro forum and revealed more information about this complete package. I was keen to have a hands-on on the completed set and Victor from Allscript was very kind to recall back their only completed set which was on display at Prologue (bookstore at ION Ochard) for my evaluation at their office. He told me the set is not a fully working set as the adapter and some minor parts were missing. Still, I was keen to take a look. Dropped by their office on 26 october and took some shots of the set. It's all aligned! We are all going to dieeeeeee! I am impressed by the built of the model. Very sturdy and solid. Being a typical gadget guy, I had fun seeing big and small brass gears move when I manually rotate the planetary support arms. Considering the weight of the orrery, it is very reassuring for local buyers that the Allscript office is located in a convenient place and not in some far away feeder-bus-access-only industrial estates. 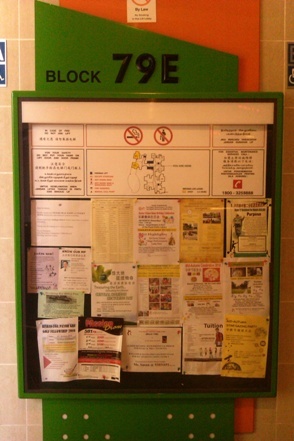 It is just a short walking distance from Tai Seng MRT station (Circle Line). 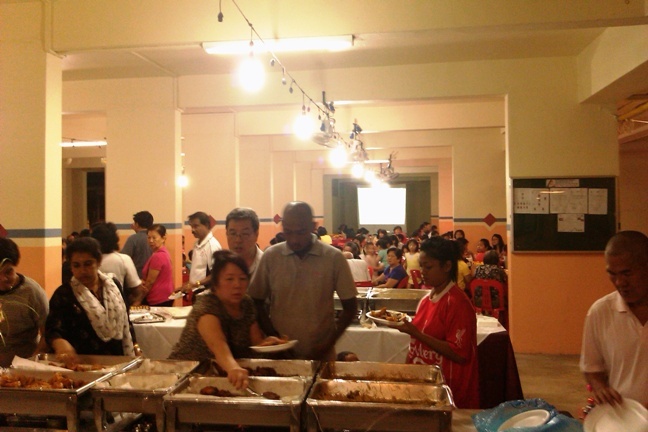 605A Macpherson Road, #04-04 Citimac Industrial Complex, Singapore 368240. For those who are thinking to purchase this orrery, do not just focus on the entertainment and educational benefits of the orrery alone. The magazines that comes with it are a rich and colourful source of information that will help one to appreciate the orrery better. Just like those who stargaze that appreciate what they are looking at better due to the understanding of the nature and characteristics of the celestial objects they are looking at. To the uninitated, Sirius may just look like boring bright point of light through a telescope. But if they knew that is the brightest star observable from Earth and the Egyptians once used it to predict the flooding of river Nile, that will create a greater appreciation, wonder and enjoyment of what they are looking at. Another reassuring point about purchasing this product is that the full assembling instructions are available on YouTube. This is nice video review I found on YouTube. Enjoy. This is a video animation I have created using Virtual Moon Atlas. For best experience, watch in full screen 1080p, buffer it until it is fully loaded (if you have slow internet connection) and make sure your computer volume is on. Learning about the Moon is so easy and fun with Virtual Moon Atlas (VMA). You can download and install this free software at its official website. The textures add-ons found in the middle of the same download webpage are highly recommended. I discovered VMA shortly after I started reading Starlight Nights. The timing could not have been better. The "Aha!" moment to create this Moon video came when I tried pressing and holding the step forward button in VMA's ephemeris tab. Moon's terminator (the line that separates the lit side and dark side) was moving across its surface. Five alphabets immediately flashes across my mind - FRAPS! This is a real-time video capturing software which I am familiar with due to my other favourite hobby - computer gaming. My first attempt was just to leave the Moon libration option on (for more accurate representation) and capture a new moon to next new moon sequence with Moonlight Sonata as background music. The finished video looked a bit boring and Moon was "dancing" back and forth too quickly (due to libration) and thus visually distracting and out of sync with the slow tempo of the background music. Then, an idea hit me. What if I can create a Moon video that isn't just beautiful to looked at but could potential encourage the viewer to get hold of a telescope to look at it live? That's how the progressive zoom idea came about to simulate looking through the telescope at higher and higher magnification. A few problems to solve before the video sequences could be captured. I wanted a high resolution full screen capture. But when you press ESC key to go into full screen mode, you cannot click on the time step forward button with your mouse. And there is no keyboard hotkey to do that. If you can't animate the sequence, FRAPS can't capture it as a video. Moreoever, even if you can animate the sequence in full screen mode, pressing F9 to activate the capture may disable the ability to continue to hold on to the step forward button via the mouse click. If there is one thing my IT troubleshooting has taught me, it is to keep trying and never give up! Finally, I cracked the puzzle using my favourite tool - trial and error. I clicked and hold the step forward button, hit ESC key to go fullscreen. No go. Terminator was not moving. Tried a few times by varying the time delay before going full screen. Finally, SUCCESS!! It's moooovvvving! With a silent prayer, I hit the F9 video recording key and the frames-per-second counter turned red. It is recording! So the success rate is about 1 in 6 tries which was good enough for me. Edited the video in Sony Vegas, uploaded it to YouTube and using YouTube Audioswap's feature to add Moonlight Sonata (the 5:31 minute version). Using Audioswap is the safest way to prevent YouTube from removing the audio due to potential copyright issues. For those who are keen to do related videos, here are some more ideas. You can try picture-in-picture video to show phases of the moon from different viewpoints simultaneously, e.g. from north/south pole and the far side of the moon. Also try the "obit the moon" in Full Globe mode and play around with the different colorful overlays. 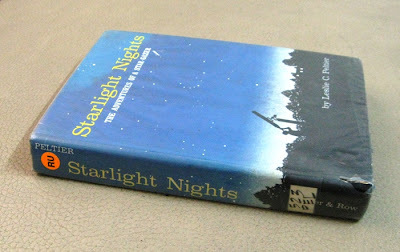 The book is Starlight Nights by Leslie C. Peltier. A few weeks ago, while researching more about International Observe the Moon Night I came across the article How to Observe Moon this Saturday by Joe Rao. What caught my attention was the passage quoted by Joe. "Throughout these nights of discovery and exploration of the moon one question kept recurring to my mind. Why had I been denied all this until my school years were so nearly spent? 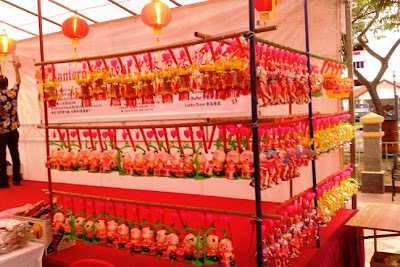 Why had it not been made a part of the growing up of every youth? I had been taught the rivers, the seas, the mountains of every continent on earth. I knew the capitals of every state and country in the world. And all this time, right above me, the 'geography' of a whole new world had been turning, page by nightly page, and no one had opened up the book for me." "
It struck a chord deep inside me. I must get hold of this book and read it. 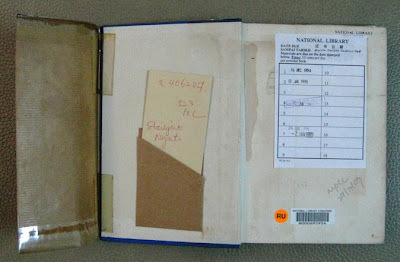 Found one copy of this book in the National Library's Repository Used Book Collection which means you can only borrow it via online reservation only. It can be then be delivered to the nearest library for your collection. I have returned the book yesterday so it should available for loan very soon. 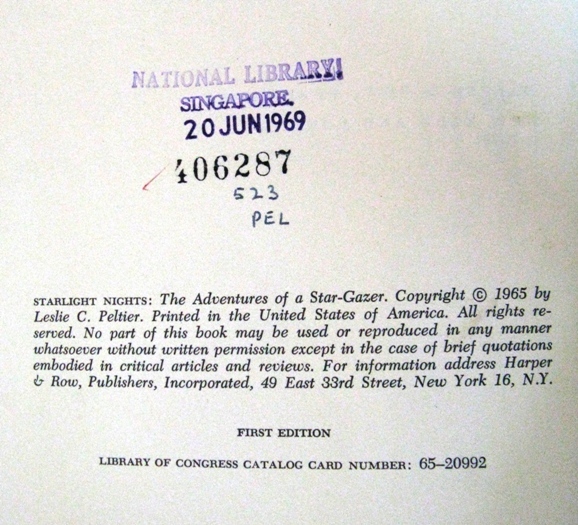 This is the very first hardcover edition of the book. Brought back lots of fond memories of visiting the library in the 80s when everything was manual. I can still remember the poor librarians manually searching through huge shelves of library cards and pasting due-date paper slips. At that time when I was still a young boy, my library cards are more valuable to me than my identity card. Losing them feels like getting a permanent ban from accessing the Internet in today's context. Reading a book that was published before you are born makes it even more exciting. I wondered how long this book was kept in the Repository and how many people actually knew books there can still be loaned out. This book is a very interesting read indeed as mentioned by many reviewers in the latest edition available at Amazon. It gives you a glimpse of the amateur astronomy scene back in the early 1900s. Those who have stayed in kampung (malay villages) while growing up can definitely identify with the author's early life in the farms. It is yet another testimony to the fact that dark unpolluted skies will make even a small 2 inch telescope a joy to use for a very long time. Those of you who are into DIY will be impressed by the modifications done by the author to his telescopes to improve the stargazing experience. And there was no Internet back then so one has to rely a lot on his own creativity and engineering abilities. On page 40, the author wrote, "To me, the least satisfactory way of all to learn the stars would be through the eyes of another. The organized "star-party," or the constellation study groups in which someone points out the various stars and constellations are pleasant social affairs but they make it all so effortless that the lesson seldom sticks. It is like taking a guided tour to see some wonder of nature when one could, just as well, have the incomparably greater thrill of being its discoverer." I agree with him to a certain extent. I believe both methods of learning the stars are equally valid. As long as the learner enjoys learning through one method over another, it does not really matter which should be the best way to learn. In a typical star party, due to time constraints, it is not possible to teach everyone all the constellations at one session. Only the most interesting one or two could be "taught", which would then inspire the learners to discover the rest on their own. So it's the best of both worlds when it comes to learning about the stars. I remembered the first time I ran Stellarium on my computer many years ago and saw the constellation Scorpius on my monitor. When I went to the kitchen and look through my window, I identified it for the first time in the sky and it was extremely exhilarating as I had just discovered Scorpius on my own. A few months ago when my astro buddy Clifford showed me the Summer Triangle in the sky at East Coast Park via a green laser pointer, i.e. "through his eyes", it was still a very exciting moment of me to see the formation for the very first time. During my sidewalk sessions showing Jupiter to the general public, some of them have seen Jupiter in books and magazines but still find their first live view through a telescope very impressive and exhilarating. And a rare few who have not known anything about Jupiter before found the live view an unimpressive boring small yellow ball of light. So, discovering sometime for the very first time without someone to explain to you the context of what you are seeing may be a very unsatisfactory learning experience. This also reminds me of a good friend who is a brilliant engineer who insist on not reading any material on solving a rubik cube but prefer to solve it himself without any assistance. To many, that is an exercise in frustration. But to him, it was pure fun and joy to discover the possible solutions on his own. On page 235, there is another thought-provoking paragraph. "I know that someday man will reach the moon but I sincerely hope this will not happen for a long, long time. He has a lot of growing up to do before he will be ready for the moon. When he finally does set sails for a journey into space, may it be a voyage of the Beagle, not the Graf Spee. If man must meet a challenge he can find one here on earth. If he must conquer something let it be himself." 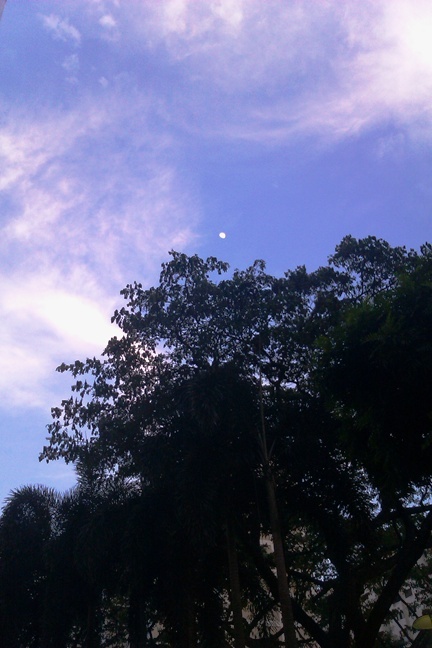 I think going to the moon and coming back is also a way of conquering oneself. Going to the moon and showing the world the stunning earth rise is also a very good way to get human beings to "grow up" faster. The moon trips also inspired a generation of scientists, engineers and dreamers without which there would probably be no International Space Station, Hubble Telescope and plans to set up bases in moon for future space exploration. Sure, there are egos involved, but not everyone involved are doing it for purely egoistical objectives. After reading the whole book, the most inspiring paragraph to me was still the one about the lack of knowledge about the moon (on page 61). The rest of the paragraph which Joe Rao did not include in the above-mentioned article was even more upsetting and shocking. "This was not a negligence peculiar to those times - it still exists. In later years with other telescopes I was to show the moon to thousands of visitors of all ages and not one knew the name of a single mountain range or crater on the moon!". It is 2010 now. IT STILL EXISTS TODAY!! I look forward to the day when young children will ask me to show them the Tycho crater and the Apennine mountain range through my telescope. What is significance of seeing the Moon through the telescope for at least once in your lifetime? Ask the legendary John Dobson. When he saw the moon for the very first time through the telescope, he was utterly mesmerized by it. That one experience alone was all it takes to motivate him to start a huge movement that would inspire thousands upon thousands of amateur astronomers for decades to explore the universe with much more affordable do-it-yourself telescopes. In conclusion, this is a must-read book for all astronomers. Definitely lived up to the perfect 5-stars customer reviews in Amazon. Caught this two-hour episode on National Geographic channel last week. Absolutely fascinating storytelling using cutting edge computer animation. This is the best episode of the 3-part series titled "Into the Universe with Stephen Hawking". I think even the normal DVD version does not do full justice to the incredible computer animations created for this series. Astronomy clubs and societies should grab a blu-ray version of this series when it is available for sale. This is the perfect documentary to psych up the general public just before the actual stargazing sessions. 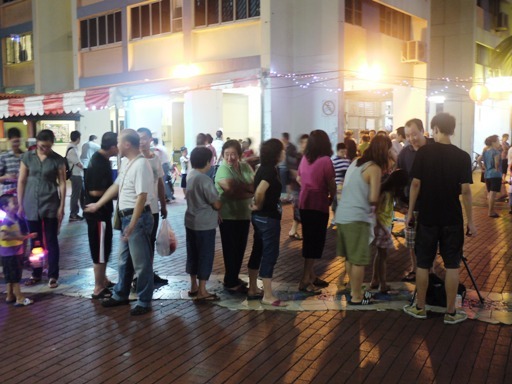 Due to recent feedback about the Toa Payoh Starparty Report, I will do a quick summary followed by a full report to satisfy two different types of readers. 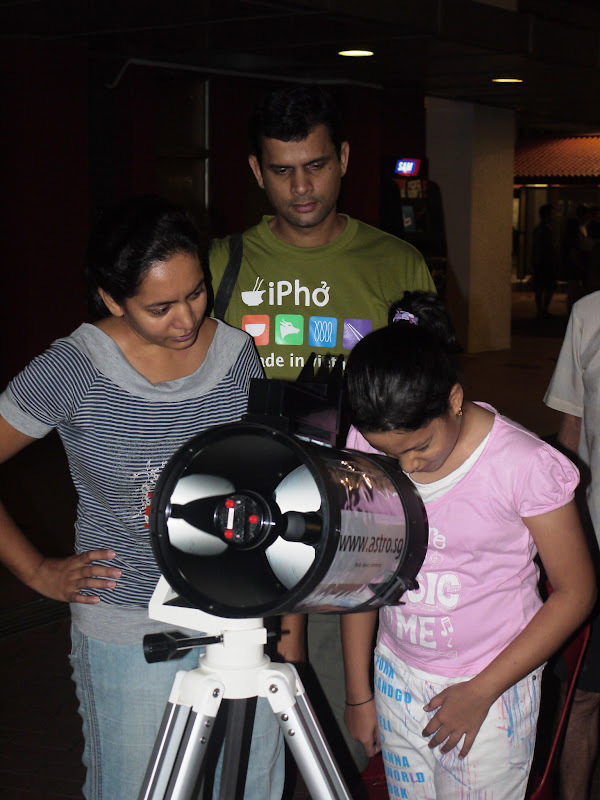 Last Saturday evening, three telescopes pointed at Jupiter at Jurong West - 8 inch achromatic refractor, 6 inch apochromatic refractor and 8 inch catadioptric. Best view of Jupiter came from the 6", followed by the 8" SCT and followed very closely by the 8" refractor (very personal opinion). True potential of the 8" refractor could not be experienced due to light pollution, lack of clear skies and lack of time to pimp it - the telescope was delivered only a few hours earlier. I met James during my second Punggai trip (Johor, Malaysia). He brought a Celestron C14 telescope along during that trip and we had some nice views through it though the skies were not completely clear. So I was quite excited when he informed me his new toy, an 8 inch achromatic refractor telescope, will be arriving in Singapore soon. 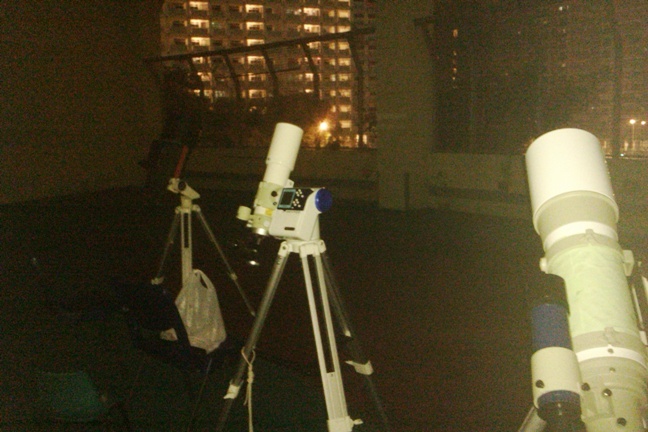 We decided to conduct a mini first light star party on Saturday. 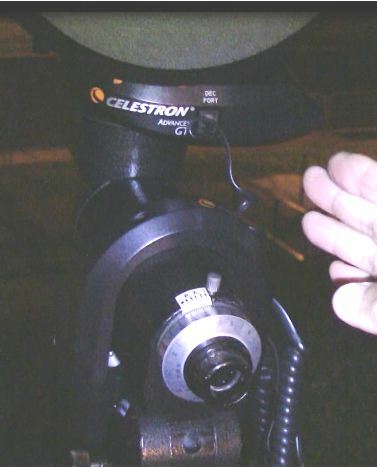 Richard came with his 6 inch refractor (yellow submarine) and I brought my Celestron C8 along. I do not need to bring my alt-azimuth mount along as I will using James's CG5 tracking mount. 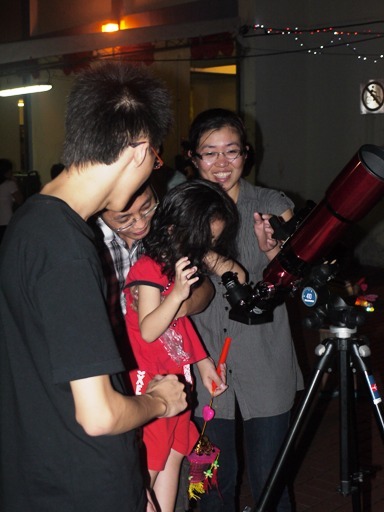 Later in the evening, Mr Au, Carole, Jin Peng, Mooey, Junming and Mr Oo join us to observe through the telescopes. I packed my C8 in my backpack and took a direct public bus to the venue. While on the bus, I managed to checked my emails, tweet about the event, invite more people to join the session and check the latest updates on the weather maps. All in the comfort of an air-conditioned bus. I have been using my android phone for a few months now but I am still amazed by what affordable technology can do today - especially for conducting or co-ordinating sidewalk sessions where the weather and people's schedule are so unpredictable. From the earlier pictures posted by James in singastro, I do not have a sense of scale how big the telescope is. When I finally saw it with my own eyes with the telescope lying on the floor with James sitting beside it, that's when it hit me how massive this monster is! Fortunately, the lift is big enough to accomodate the telescope vertically, else we can't imagine carrying it down so many flight of stairs without breaking our backs - it weighs 21 kg! We chose a grassy patch on a slope to deploy the telescopes. That was a good location to observe Jupiter for the rest of the night. As you can see from the video it took three person to mount the telescope. They have to be careful not to bang the tube into the mount and at the same time not to fall down the slope while executing the 360 degree turn! We are very happy Mr Au found time to join us in this observation session. Mr Au is the recipient of the Lifetime Achievement Award in 2008 for his effort in promoting astronomy in Singapore for many many years. I remember meeting him for the first time in 2003 during Mars Watch. 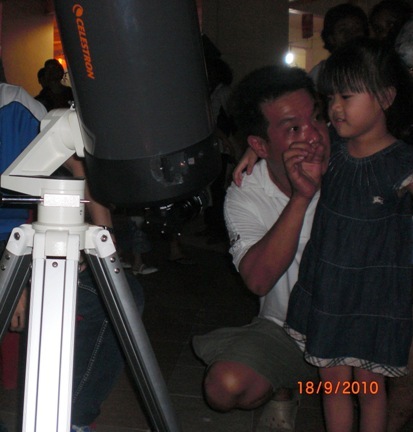 Seven years later, he is still so full of energy and his passion for astronomy is very contagious. I brought my videocam mainly to film the 8" telescope but I am very glad I can also get to film Mr Au and subsequently upload this video for all to see. 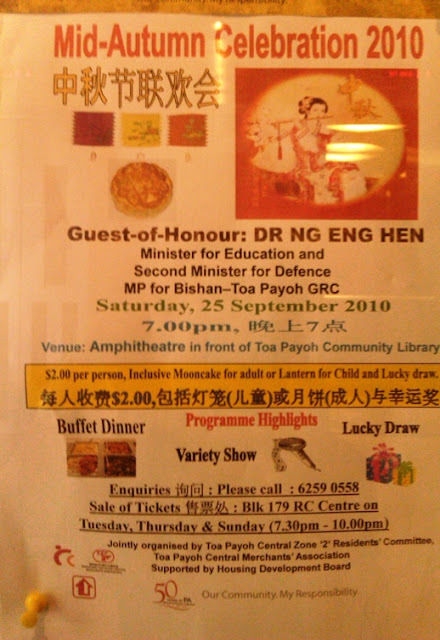 This is my small tribute to his contributions and also to encourage other much more younger and stronger bodies to help promote astronomy in Singapore. Back to the main star of the event. The telescope is manufactured by ISTA Optical. It is front heavy as the main lens is located there. The holes at the front end makes it easy to grip it. But at the same time, they allow stray light to hit the lens which will affect contrast of objects viewed through the eyepieces. We pointed the scope at Jupiter and everyone had a good look. Jupiter looked really bright. There were some chromatic aberration which is expected from all achromatic telescope but it is not obvious enough to bother me. I was glad Richard brought his 6" apochromatic telescope along. I missed two opportunities to look this highly rated telescope. 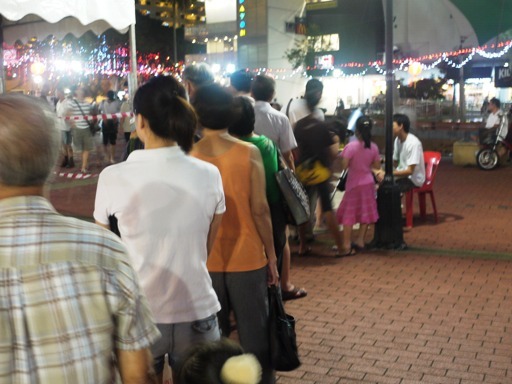 First was during the Bedok Reservoir Jupiter event (I was at Jalan Kayu event) and second was the Toa Payoh Starparty event (the queue was way too long, I was busying manning my scope and Richard had to leave early). So finally, I got my "revenge" for these lost opportunities. Through this telescope, I had the best view of Jupiter I have seen so far. The contrast was simply amazing. Jupiter cloud bands was well defined and the shadow transit looked really dark on Jupiter. Moreover, the eye relief for his eyepieces is really good. It was so comfortable to look at Jupiter. The view should be even more mind-blowing if Richard add a binoviewer to this scope in the future. Both refractors have nice dual speed focuser. Till then, I have only manage to spend time with my Maskutov and SCT telescopes which involves moving the primary mirror with their default focuser. These superior refractor focuser is a real joy to use. Now I can fully understand why some SCT owners are willing to pay a premium to add such focuser to their telescope. It's very hard to go back to normal focusing once you have experienced dual speed focusing. For the more budget constrained telescope owners, there are other ways to "hack" the default focuser to improve focusing. Mr Au and James helped me set up my C8 on the CG5 mount and showed my how to use the GOTO controller. It was my first full hands-on experience with an equatorial mount. I have always delayed learning how to use one since it looked complicated, less portable and more expensive then an alta-azimuth mount. After playing around with it for a few hours, I started to appreciate the benefits of a tracking mount - you see more details. When the object is stationary and centered in your field of view for relatively long period of time, it will be able to "send" more photons to your eyeball. Towards the end of the session, I manage to take a look at the 8" through its 22mm eyepiece. The view was very wide and nice. Jupiter and its moons were framed nicely with pinpoint stars shining in the background. 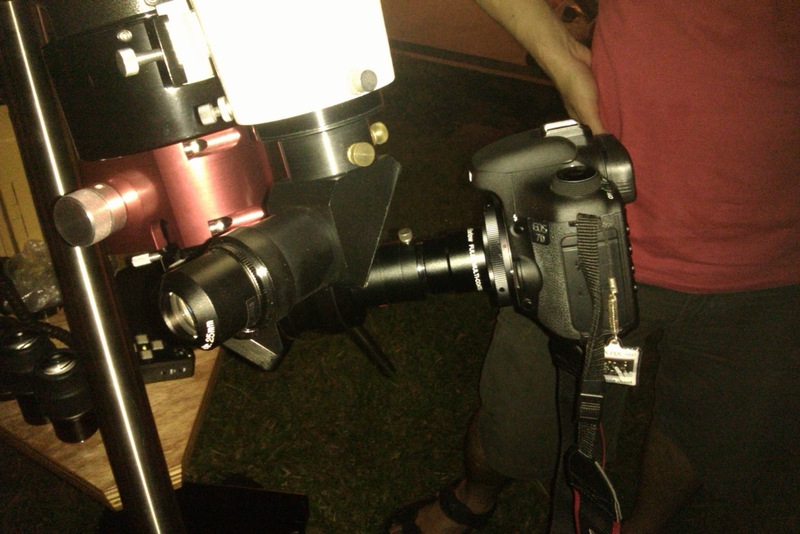 By then, Jupiter had risen so high up in the sky that we had to squat down to look through the eyepiece! To fully realise the potential of this refractor (or any telescope for that matter), it needs a dark and clear sky. The views of Deep Sky Objects (DSOs) like galaxies and nebulas on this telescope will be truly astonishing. Although one of the purpose for the event is to compare the views between the three telescopes, I think we are more interested to just having fun looking through each others setup and catch up with one another. If my memory serves me right, I don't recall see more details when observing Jupiter through the refractors compared to my scope but the contrast level in the 6" is definitely way higher.But the refractors are using premium grade accessories like 2 inch dielectric diagonals, dual speed focusers and very branded eyepieces. 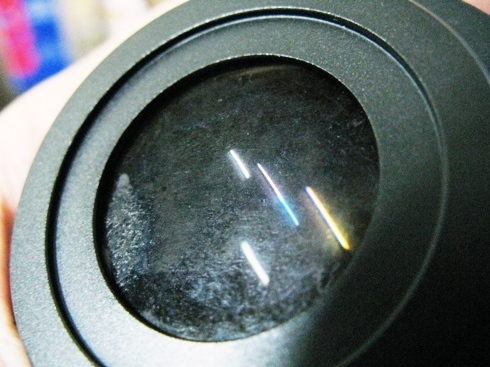 Whereas my C8 was using low-end third-party 1.25 inch diagonal, default focuser and entry-level plossl eyepieces. To make things worse for comparison purposes, I was too lazy to bring my DIY dew shield as I lost my tube rubber band during my last Punggai trip. There was a very bright sodium light shining at the observation area (can be seen in the video above the 8" telescope before it was lifted up from the floor). Ironically, if this very powerful source of light pollution is not there, my videos will turn out to be too dark and noisy. Halfway through the event, Mrs James brought us delicious cold deserts. Yummy! Just in time for me after being "sun-baked" by the sodium light for a couple of hours. James's friend came later in the evening with his Canon 7D to take some astrophotos. Unfortunately, there was battery leak issue his camera and we didn't manage to take any astrophotos. With Richard's help, we managed to mount the camera to his 6" telescope. We stacked two 2x barlows. It was quite fun to look at Jupiter through the camera's viewfinder. 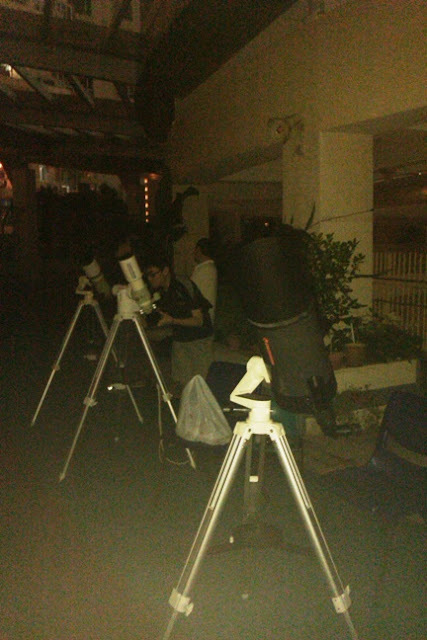 Two passer-by came to look at Jupiter through our telescopes. For the 15 minutes they were there, you can see this permanent WOW look on their faces. Total state of shock for them. We packed up shortly before midnight and were once again reminded of how massive the 8" is when we transported it back to base. 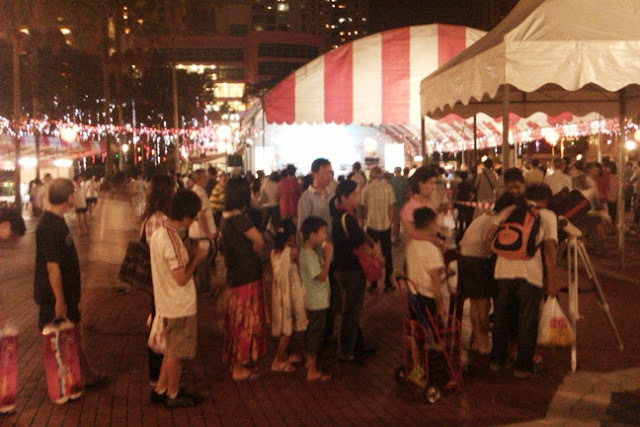 :) Thanks to everyone who came for the event on such a short notice. Looking forward to see you guys again in future star parties. I wonder why just the left knee and where did I get this infection from. Then I realised I wore bermudas and was occasionally kneeling on my left knee on the grass patch while enjoying the views on my telescope. 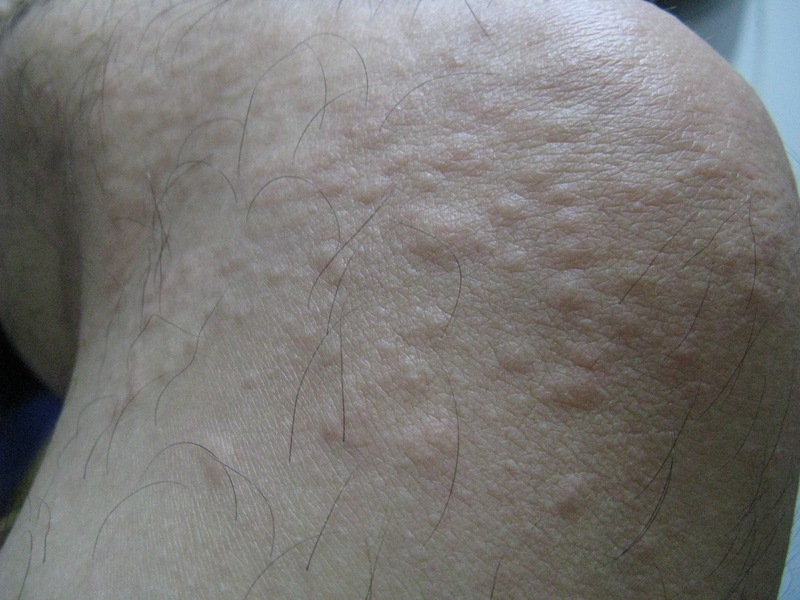 Applied Tiger Balm for a few days and the itch finally subsided. A very small price to pay for incredible views, the knowledge gained and the friendships made that evening.